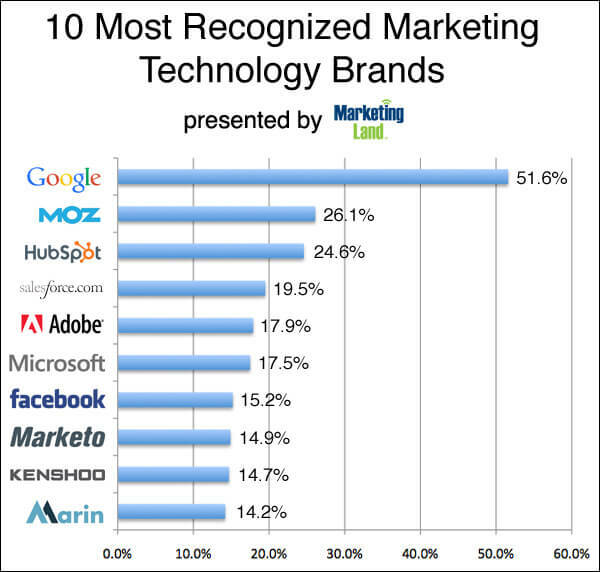 Google favors brands. How can you become a brand, so that you too can receive an unfair ranking advantage? I’m going to give you some tips that will get you well on your way to outranking everyone in your niche. After you’ve done all the other things required to rank well, building great content, including on-page SEO, providing social signals to beef up your author rank, it’s time to start considering your brand. We actually came up with a classifier to say, ok, IRS or Wikipedia or New York Times is over on this side, and the low-quality sites are over on this side. Face it, your website is a piece of trash floating in a cesspool, according to Google. It’s all because you’re not a brand. Let’s get ourselves a brand so we get cherry-picked for results, and your competitors are left floating in Google’s trash-filled cesspool section of their SERPs. There’s a hilarious movie calld “Without a Paddle”. In one clip, three friends encounter a bear. There’s a bit of their dialogue there that fits a number of things, like building links or building a brand. Swap the bear with a panda, and the visualization is complete. Seth Green: What are you doing? Jerry Conlaine: Because I run faster with no shoes. Seth Green: You can’t outrun that bear! Jerry Conlaine: I don’t have to outrun the bear, I just have to outrun you! Part of good keyword research and selecting the right niche involves checking out the competition, first. Many people check to see how many links the top pages have, whether they are using keywords in the title, etc. One of the things I look for is whether the top rankings are branded. Because remember, you don’t have to be perfect in all areas before you can rank number one. You just have to beat what the top results are doing. 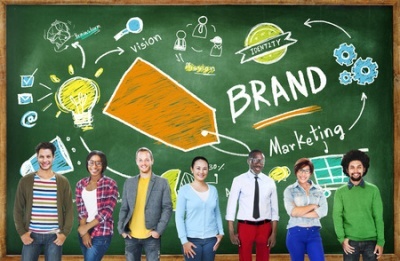 This guide will show you how to be a brand, and we are going to start sending branding signals to Google so they give your site the respect it deserves. As we do this, keep in mind that you don’t have to outrun the Panda, you just have to outrun the #1 SERP result. If they have done little to provide brand signals, then any brand signals you emulate will be sufficient to pass their efforts. The first part of being a brand is to select a brand name. It should be short, and distinctive. When you search Google for the results, nothing should show regarding a branded result. Although you can stick a keyword in the domain, along with the brand, that keyword is not part of your brand. Your brand is the distinctive thing that only you rank for. An example would be “Rankle Widgets”, and “ranklewidgets.com”. Your brand, in this case, is “Rankle”, not with the “widgets” appended. The reason for this is that you can get an over-optimization penalty for linking to yourself too often with a keyword, however, you won’t get penalized for linking to yourself with a brand name. In case you’re wondering, this nullifies EMDs (or exact-match domains). I suggest that you don’t use them if you want to brand yourself. However, selecting an EMD and then naming the site with a completely different brand name is an option. For instance, you could have “bestredwidgets.com” as a domain, but name the site “Rankle”, and it would still qualify as a brand name. 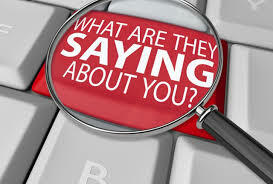 We are going to encourage people to mention your brand. The best way to do that is to make it short, easy to type, and leaves no guess-work as to how it is spelled. Consider for a moment, “Moz”. 3 letters, that’s pretty good. It’s also pretty distinctive and not confused with common words. If you’re going to succeed with SEO, you need backlinks. As these links are built, they should be branded backlinks. The links should be used in proximity of keywords. An example would be: If you want the best red widgets, you should try Rankle, Where Rankle is the link to your site. Because keywords are used in close proximity to your link, the association is made between your brand and the keywords it should rank for. Sure, you can move those keywords into the link a very small percentage of the time, where the link would be “Rankle widgets”, but keep that minimal. Nearly 80% of your links should have variations of your brand, without keywords you desire to rank for. Examples of this would be “check out Rankle”, or “over at Rankle’s”, or “click here for Rankle”, or “Rankle is the best”, or “Rankle brand has what you’re looking for”. You need extreme diversity in the words you use in your anchor texts, rarely (if ever) using the same one twice — unless it is just “Rankle”. This is where everyone else typically stops, however — there is more you can do. 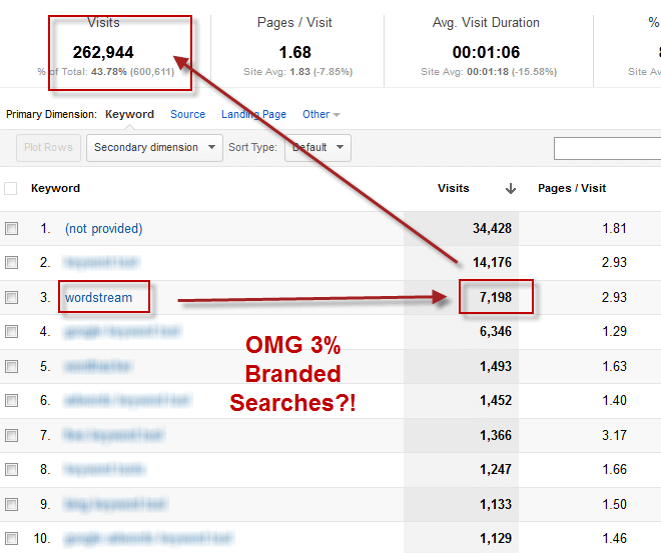 This is going to mess your analytics up some, but consider searching for your brand in Google with various keywords. This is something that will keep Amazon and Wikipedia ranking high forever. People search for “Amazon + keyword”, or “Wikipedia + keyword”, and this is probably the strongest branding signal that Google uses. Quite frankly, if people aren’t searching for your brand, then you are not a brand, no matter how many times you get branded links. One option I use is to tweet about great content on my website that passes people through Google. For instance, if I want to link to my fancy widget page from Twitter, and I know hundreds of people will click on the link — I will link to https://www.google.com/search?q=rankle+red+widgets. Of course, my listing should be #1, and then they would click on that result. This creates search traffic, from real people with real identities with Google, whom Google has tracked forever and knows who they are — and shows them searching for your brand. If they click through to your website and they spend a long time reading your great article, this shows a low bounce rate and proves to Google that your brand is associated with the keywords of your niche. This helps you to rank when people are searching for the same keywords, but haven’t searched for your brand. What I’m about to tell you is going to blow your mind. Google filed a patent. The guts of the patent says this: if someone mentions a brand, that mention is an assumed link. Let that sink in. Just a word on a page is a backlink. One cannot overemphasize just how profound that is. Someone mentions the name “Coca Cola”, that is an assumed backlink to coca-cola.com. Just the word on a page. If you notice — I did not backlink to Coca Cola just now, yet they got a backlink from this page, nonetheless. Why? Just the mention of their brand is a link to their website. 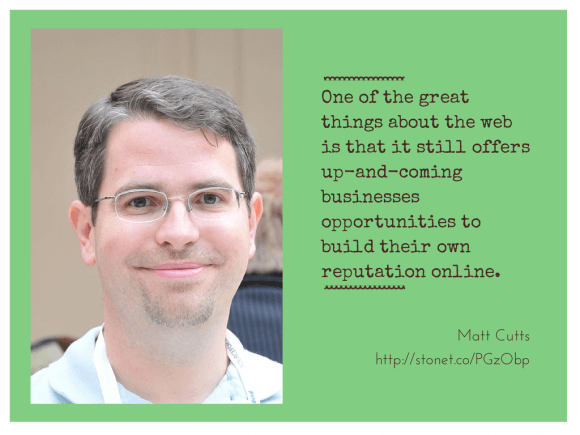 Wouldn’t you like to make links to your website, simply by having your brand mentioned? The way you do that is by building your brand. Once your brand is ranked number one in Google, and you’ve sent signals to Google (such as brand searches, and brand linking), then the mere mention of your brand on a relevant page is a positive ranking factor and counts as a backlink to your site! This allows you to receive backlinks from no-follow sources. Do you want a do-follow link from Wikipedia? Remember, just the mention of your brand is a backlink! 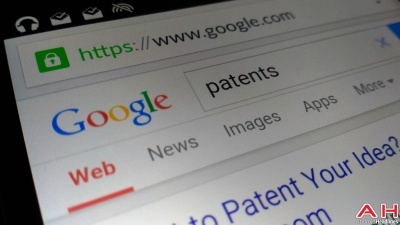 Consider all the high quality, relevant resources that you could never get a do-follow link from, but you can get a mention of your brand, which according to Google’s patent is nearly the exact same thing! Let me finish by mentioning a very peculiar situation where a friend of mine ended up ranking #1 for a difficult keyword. His brand was a partial match for the keyword he ranked for. As I was researching why he ranked so well, I came to a shocking discovery. His brand was actually person’s name. Oddly enough, that person’s name was relevant to the niche. There were books written about this individual. He was extremely popular in the 60s. However, there wasn’t a website made for this individual. Nobody promoted this as their brand. Though there were books on the subject, the books didn’t have an official website. My conclusion of what happened, is that as soon as my friend established this keyword as his brand, and since no other websites were promoting themselves as being this brand, my friend wound up with a site that Google assumed was the brand for this individual, and every mention of it on the internet became a virtual link to his money site. This is something I always keep an eye out for when considering a brand name, and someday I’ll be lucky to tap into the same situation. 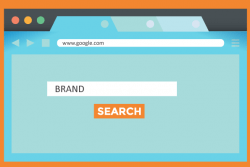 Start building your brand today, by establishing a short and simple brandable name for your site, linking to your site using your brand, encouraging people to search Google with your brand and related keywords, and enjoy your higher SERP placements!